He takes naturalism to be the thesis that the natural sciences are the best guide to what exists in the world and that its methods are the best ways of extending knowledge of what exists. And then he argues that the naturalistic programme is constructive. Wilfred Sellarsconsidered that naturalism aims to make humanistic scholarship safe in a world of science. Rosenberg agrees with this naturalistic, Sellarsian project of reconciliation. 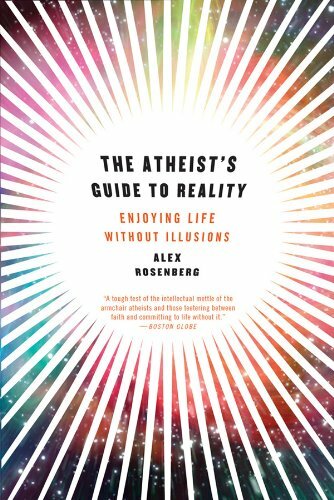 Rosenberg is a reductionist but not an eliminativist. He is committed to the view that natural sciences are obliged to rule on the range of facts we can recognise and the range of theories we can use to explain these facts. So, given that there are thoughts and values and consciousness they must be underwritten by science. The American pragmatist Quineargued that everything that was a fact had to be translatable into science. On this view the best philosophy has to be continuous with science and this means more than that it is just consistent with science. Rosenberg takes a strong Quinean position and argues that it’s not merely the logical compatibility of science with philosophy that’s required here, it has to be shown how they join and cohere. The notion is that of the great ant man E.O. Wilson, which he labeled consilience. Dennett’s approach is accused of this underestimation. Dennett basically argues that Darwin naturalises purpose as do other top Darwinean philosophers like Dreier andMillikan. This means that this type of naturalist thinks biology has naturalized purpose by showing that purpose is causal. But Rosenberg just thinks this is complete rubbish. He thinks Darwin eliminates purpose from everywhere and everything for ever. Of course, this is hardly the last word on the matter. There are plenty of people, naturalists and non-naturalists, who contend that he’s plain wrong. But the strength of his book is that it sets out his position clearly and therefore allows those who disagree to know what they must do to answer him. A recent dissenter from the Rosenbergian view is the philosopherTimothy Williamson at Oxford who recently wrote in the New York Times that ‘Naturalism tries to condense the scientific spirit into a philosophical theory. But no theory can replace that spirit, for any theory can be applied in an unscientific spirit, as a polemical device to reinforce prejudice. Naturalism as dogma is one more enemy of the scientific spirit.’ And he points out that oddly mathematics seems to elude this scientific world. Williamson thinks the bad news for naturalism is that mathematical proof seems to be just as effective a route to knowledge as the scientific method of observation and experiment. Williamson adds that there may be facts that can only be investigated and found by non-scientific means. There may even be unknowable facts about reality. His brilliant book The Philosophy of Philosophy takes up these arguments. Williamson is just unconvinced by the idea that science will be better at answering the question as to what caused the First World War, for example, than history. He doesn’t agree that we don’t have knowledge when we know the plot of, say, a Stewart Home novel. Literary critics pay careful attention to literary texts, much more so than the casual reader, and what she knows is genuine. He wonders how much science would be possible without history. He argues that Collingwood knew that our knowledge of past experiments is itself historical.